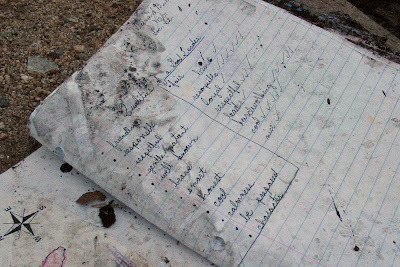 I found this notebook in an alley in Studio City, CA sometime in early 2003. The school assignment on the page was dated "9/13/01". Click through to read...seems like we're a lot better off now than we were back then.